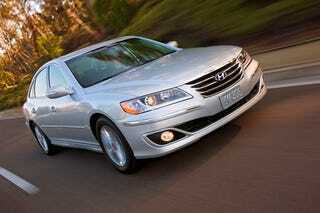 The 2011 Hyundai Sonata looks damn good. The 2010 Hyundai Azera, however, does not. Hyundai will tell you it's because the Azera's higher price point attracts a different buyer. We'll tell you we don't care.